Project lead consultant LANDinc, in consortium with a diverse multidisciplinary team, have completed a three and half year process through the facilitation of public workshops, an iterative design process and overseeing over two years of construction. 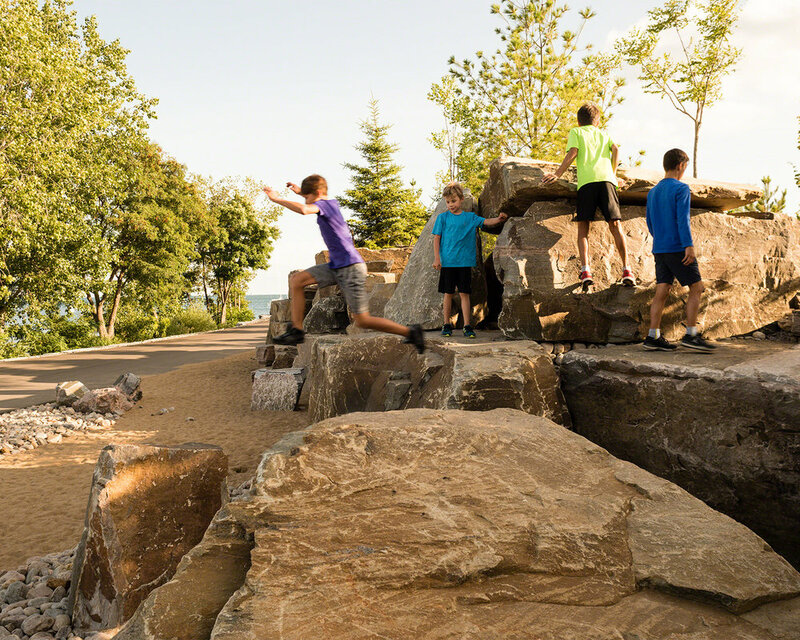 This first phase of land developed at the high profile Ontario Place, the park and trail has become an important element of the full revitalization. 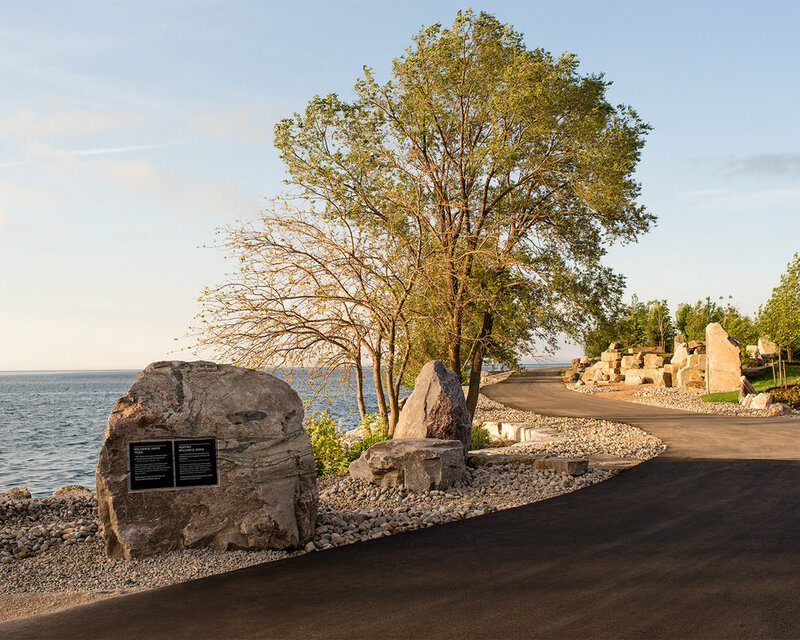 The 7.5 acre site is a free and accessible park that serves adjacent communities with amenities that engage visitors to the waterfront. Ontario’s new urban forest consists of native tree and shrub species creating a natural landscape for relaxation and exploration. 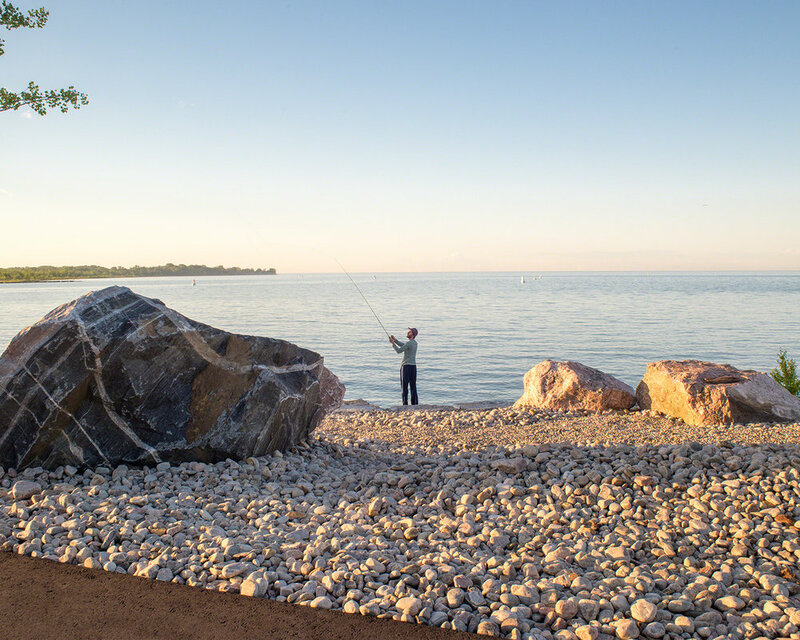 The trails meander through rolling landforms, rock outcrops, pebble beaches and the native plantings giving rise to spectacular views of the city and the infinite horizon across Lake Ontario. It is a celebration of the experience where land meets the water. The park is a new synthesis where visitors can experience the natural history of Ontario while recognizing the contributions of the First Nations to the city of Toronto and the Province of Ontario. LANDinc collaborated on the initial design phase with West 8. The project is managed by Infrastructure Ontario and the Ministry Sponsor is The Ministry of Tourism Culture and Sport.